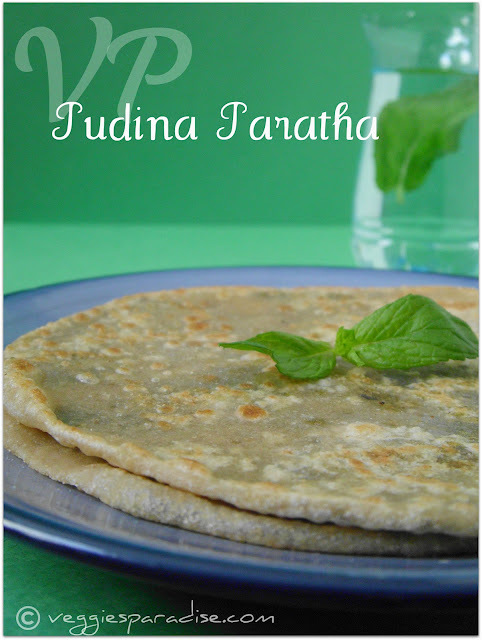 PUDINA PARATHA - Paratha's are the most commonly made bread all over India and there are lots of variations in preparing these breads, which includes stuffed , layered or flavored. Combine the flour with salt and water. Mix well ,finally add oil and knead until smooth and firm. Cover and keep it aside for 30 mins. Divide the dough into equal- sized balls. Take one , dust it in flour and roll them into a flat and round shaped one. 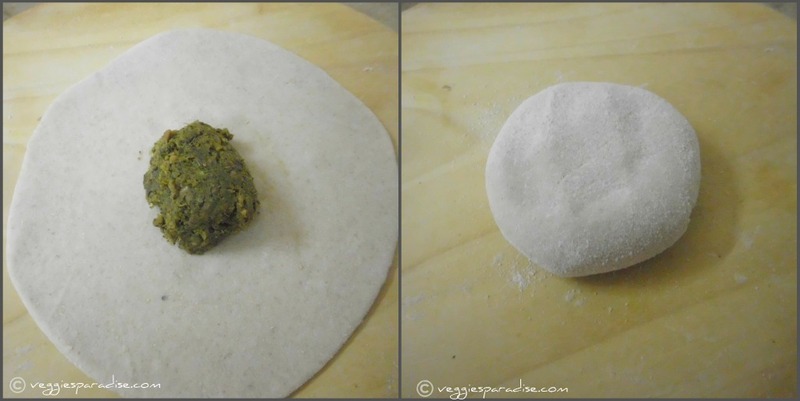 Place the mint thuvaiyal in the centre and close it well .Dust in the flour and roll them once again to form round shaped paratha. Heat a pan, and place the stuffed paratha, spread oil on its sides and cook until tiny dark spots appear on both sides. Hi Aruna, The photo is beautiful. 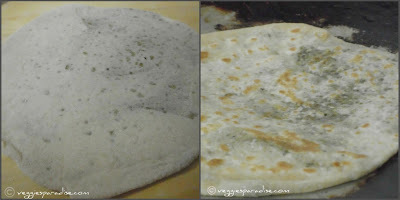 Looking at this mint thogayal stuffed paratha, I was thinking why not kothamallu thogayal paratha. I like that one too. My fav. I can raw pudina bunches. looks very flavourful. Nice clicks. 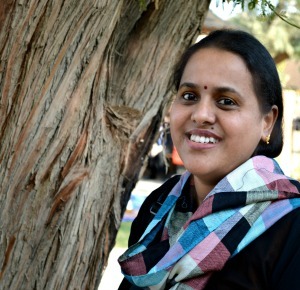 Very nice and healthy recipe Aruna. i so love stuffed parathas.and these are super! 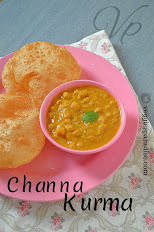 Sounds interesting...a flavorful and delicious paratha...nice clicks. lovely and so flavourful mint paratha..nice clicks..
Stuffing the thogaiyal sounds a fantastic idea and must taste yum for sure. I am sure the mint would have added that special flavour. I generally chop and add the leaf but never made it like this with a filling. Smart idea. 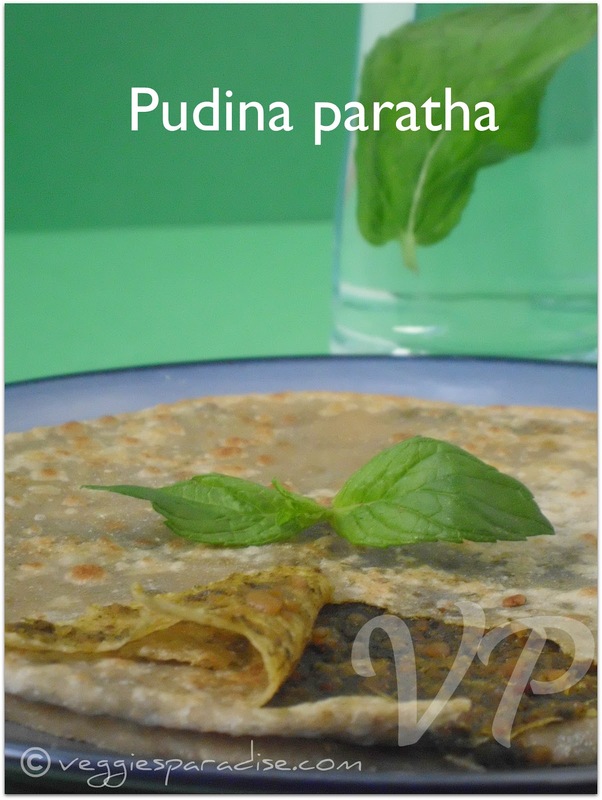 Pudina paratha with curd..something that my tastebuds would crave for at any given point of time..these look great! Super flavourful paratha,wish to have some..Your clicks rocks Aruna..
That must have tasted soo awesome! The last click is making me drool! Nicely presented and looks yum! Innovative and aromatic chapathi. Awesome. Thanx for joining my blog,I saw your blog,all recipes are wonderful....keep posting.